Dr. Warren "Abe" Abrahamson and his wife/science collaborator Chris Abrahamson measure the length of a Saw Palmetto trunk. 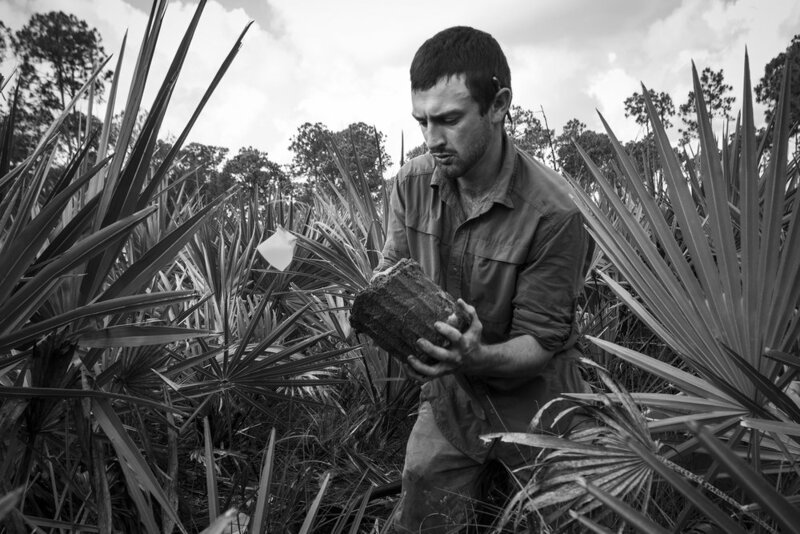 Saw Palmettos are a common plant in many parts of Florida and are extremely long lived. Abe's work, conducted over several decades, have shown Saw Palmetto clonal groups to live for several thousand years, perhaps some even ten thousand years. The plant's berries are well known as an important food source for Florida Black Bears, but its flowers also provide food for hundreds of insect species. This Hunchback Fly, along with specimens from over 300 other insect species have been collected while visiting Saw Palmetto flowers at Archbold Biological Station. Feay's palafox is not a protected species, but it does have a limited range, growing only in central and south Florida. Researcher Annika Person is studying the flower. She is tagging individual plants and observing the insects that visit them. 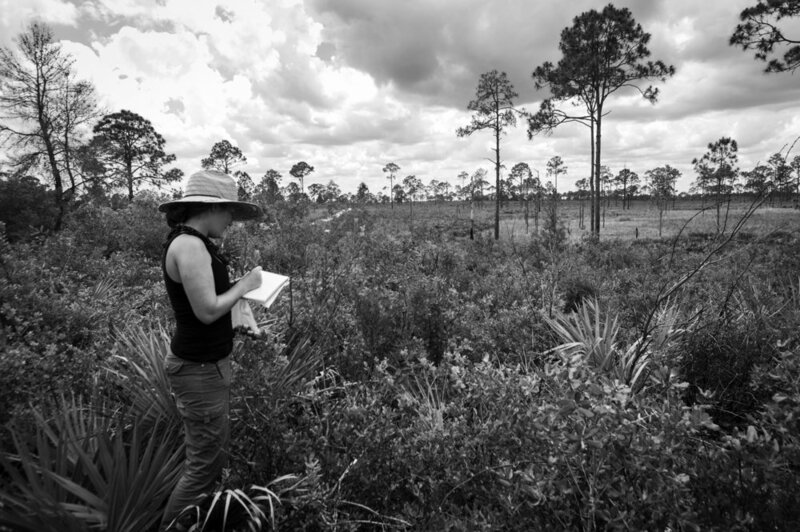 Researcher Stacy Smith surveys a Florida ziziphus population growing on a private ranch. 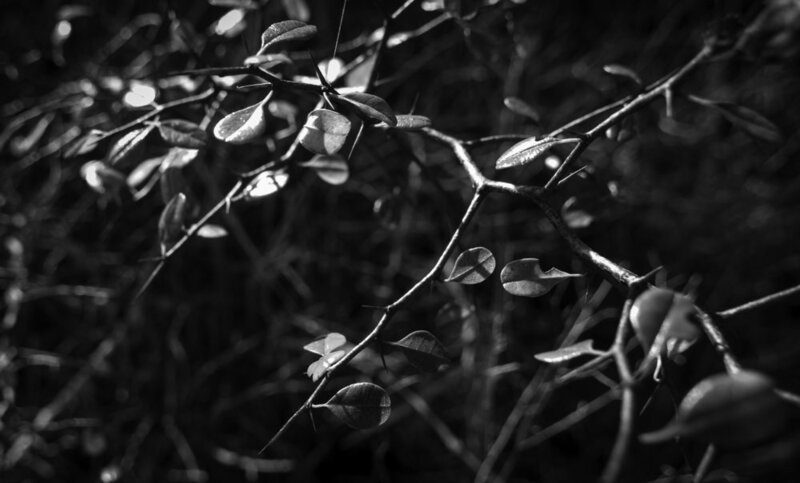 The Florida ziziphus is a federally endangered species found only on the Lake Wales Ridge in the headwaters of the Everglades. This is one of Florida's rarest and most threatened species, but the cooperation of private land owners is making its recovery possible. Cutthroat grass is found only in Florida and is protected by the state as an endangered species. Researcher Michael Sinclair is growing the grass and planting it in different environments. His work is helping ecologists better understand the species and will hopefully increase the success of using the species in habitat restoration projects. 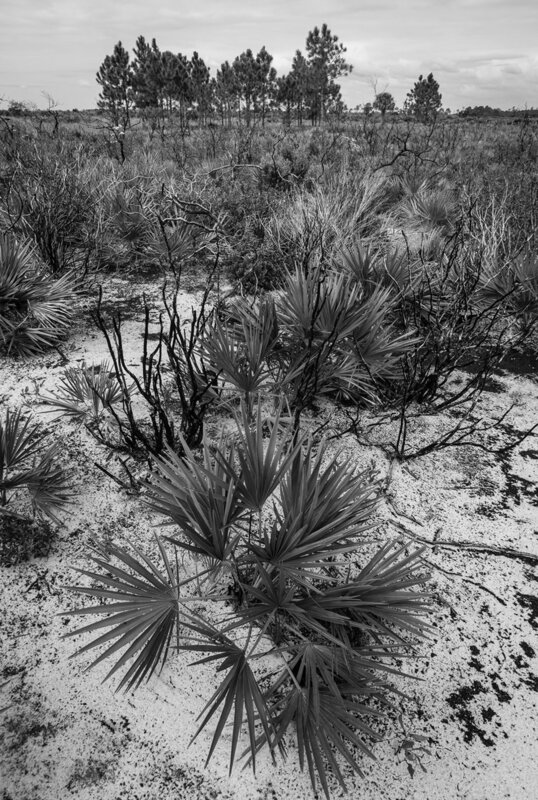 One of Michael's test plants is added to a patch of soil amdst a sea of Saw Palmetto.